Reston, Va – Jan. 18, 2018 – Odin, Feldman & Pittleman, P.C. is pleased to announce the firm has elevated Benjamin J. Kinder to shareholder. Ben represents individual and corporate taxpayers before the Internal Revenue Service and state tax departments, in the areas of audits, examinations and collections regarding income taxes, sales and use taxes, licensing taxes (including BPOL), and estate and gift taxes. 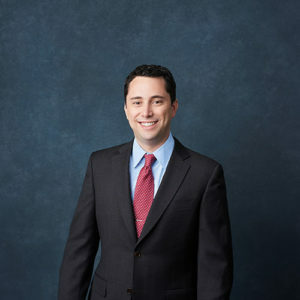 Ben also regularly works with non-profit organizations, advising them regarding their formation, their application for tax-exempt status, as well as their ongoing operations in accordance with federal and state law. Ben also handles general corporate and estate planning matters, including corporate governance, charitable remainder trusts, commercial transactions, and benefit corporations.